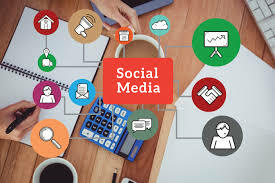 Social media marketing is simply a way to promote your business using the same social media tools. For example, you use Facebook and Twitter to stay in touch with friends and family. You use them in the same way to stay in touch with your customers, promote your brand, and market your products or services. How Is Social Media Marketing Different from Other Kinds of Marketing? The difference between social media marketing and other forms of marketing can be summed up in one word: engagement. When you take out an ad in a newspaper or magazine, you’re assuming that a potential customer will see that ad, read it, and seek out your business to make a purchase. The same goes for direct mail, TV, and even billboards. That’s a lot of assumptions! With social media marketing, you are meeting your prospective customers where they are. They are already on Facebook, Instagram, Twitter, and LinkedIn. If you are there too, you can get in front of them—and here’s where the magic happens. Once you get in front of them, you can engage them and get them to interact with your brand. They can watch a video about your product, participate in discussions, or view photos which they can then share with those in their networks. This in turn creates more buzz for your business. The more people talking about and sharing what you put on your social media accounts, the better your chances of reaching more people and generating more leads for your business. The number of people using social media is truly astounding. As of May 2017, Facebook—the biggest social network out there—has 1.94 billion active monthly users. That’s 1.94 billion people who use Facebook at least once every month. According to updated stats, around 95% of people aged 18-34 follow at least one brand on social media. Also, visual content (photos and videos) are 40 times more likely to be shared on social media compared to other kinds of content. In the land of the little blue bird a.k.a. Twitter, there are currently around 320 million active users worldwide. Back to Facebook, there are around 40 million active small business pages. So what does all this tell us? Simple: Ignoring social media marketing is basically akin to hiding your brand from lots and lots of people. The biggest advantage of social media marketing is its viral reach. You are engaging with your customers and they are engaging with their network. Essentially, you are turning your customers into ambassadors for your brand. Your products may never come up in face-to-face conversations between friends, but they will come up on social media and people might just share them, potentially growing your business organically. For example, in February 2016, the total amount of views generated by Facebook videos is an astounding 199 billion. That’s just for one month—imagine if a chunk of that was generated by a video you created for your business. Impressive, yes? Of course, it also goes without saying that you must be careful with what you post and make sure your products and services are actually good before promoting online. Because, while going viral on social media can really be a big boost for your marketing efforts, it can be destructive for your brand as well. You don’t want word to get out about a major mistake your business made or a sub-par product your company created now, do you? With all the people and businesses using social media, it can get a little crowded. Make sure you set yourself apart from the crowd by bringing your brand to the fore. Your social media accounts should have a common theme and be brand recognisable. For more information visit SEO Agency London. You could adopt a social media personality that will draw positive attention to your brand and make it stand out more. Be warned though; you should be consistent with how you set up your social media profiles—confusion is never a good thing! You should also devote time to being active on social media and consistently communicate with those on your business’ social media networks. Remember: the social media world, as a whole, has a very short attention span. If you’re dormant for too long or become uninteresting, your followers will soon forget about your brand. There’s a lot to learn about social media marketing, so try not to get overwhelmed. Take it one step at a time. You can start with the network you use the most—this will probably be Facebook, although it could be Twitter or even LinkedIn—only this time you must adopt a business approach. This will help familiarise yourself in terms of what needs to be done. It also pays to assess your options and answer key questions. Which social network does your target market visit the most? What kinds of content do they like? What kinds of content should I share?